I’m going to level with you here: I loved Banjo-Kazooie: Nuts and Bolts. Yeah, it was an absolutely awful sequel, but if you look past the dressing it’s a great car-building game that relies on creativity and ingenuity. 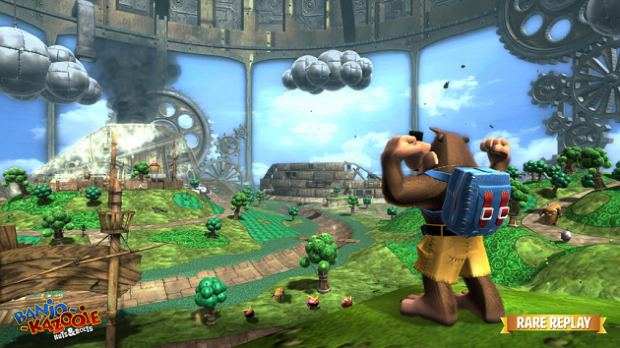 If Rare had only ditched the lame attempt at continuing Banjo’s story and instead made the game a new IP, I think it might have had a better chance. I guess what I’m trying to get as is that, love it or hate it, Nuts and Bolts truly was a classic Rare game. The studio is known for its massive creativity and constant attempts at trying something new, even though they don’t always work out. 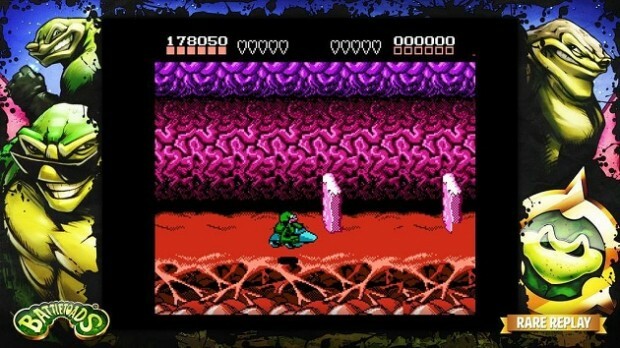 Rare Replay is a celebration of the company’s 30th anniversary and its long history of making incredibly unique games. The Rare Hall of Fame is packed with 30 classic titles for you to enjoy, all perfectly ported to the Xbox One. If nothing else, this collection will be the most fun history class you’ve ever taken. Rare artifacts — No matter how you count them, 30 games is a lot of games. The highlights of the collection for most will be the Nintendo 64 titles, including Conker’s Bad Fur Day, Blast Corps, Jet Force Gemini, Perfect Dark and both Banjo-Kazooie games. There are loads of older games, including Battletoads and Jetpac, as well as some great Xbox 360 games, like Viva Piñata and Kameo: Elements of Power. It’s unlikely there’s a gamer out there who’s excited for every single game on the list, but at $30 this collection is still well worth it if you’re only leaning towards a small handful of the included games. What’s old is new again — The collection breaths a bit of new life into its classic 8 and 16-bit games. All of these games now have access to a few new “cheats.” You can now prevent a disastrous fate by rewinding your game, similar to Duke Nukem 3D. Applicable games also get infinite lives and infinite time, which finally gives you a fighting chance at beating Battletoads. If you’d rather not cheat, you can always toggle them off in the options menu to play the games as originally intended. 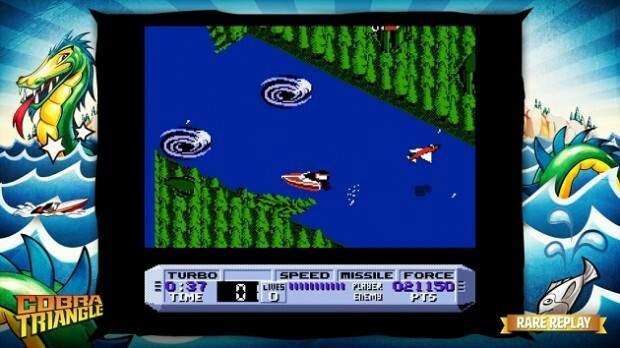 There’s also the Snapshot challenges, which task you with playing these classic games with pre-determined rules that can be played one at a time or in a playlist. Not only do they add replayability, but they can also teach you new strategies for playing these old games. Rare historical society — While you venture through the Hall of Fame, you’ll earn stamps for completing milestones (aka in-game Achievements) in any and all games you play. Every five stamps you earn unlocks a behind-the-scenes video from Rare. There’s “making of” videos, looks at unreleased games and never-before-heard music. You’ll wind up learning all about the work that was put into the games you love and the passionate studio behind them. These videos are both a wonderful look into the history of gaming and a perfect companion piece to this collection. Like nothing’s changed — There’s something that needs to be made clear: the games in Rare Replay are essentially perfect ports. Besides being playable on Xbox One and being stamped with Microsoft branding, the games are exactly like they were upon original release. Whereas the oldest games in the collection got a few great upgrades, the Nintendo 64 era titles got the short end of the stick as they have some glaring issues. Jet Force Gemini’s controls did not age well, and will be extremely archaic to those used to modern third-person shooters. Conker’s Bad Fur Day has some minor oddities, like permanently inverted camera controls and original dialogue that refers to the N64’s inputs. Killer Instinct Gold really needs some way to learn each character’s moves. Banjo-Kazooie and Perfect Dark fared much better, as the collection only includes their HD re-releases. The collection trades modernization for keeping the games preserved as they were, which may not have been the best path for bringing in new players. Not-so-golden ratio — Building off of the last point, all the non-360, non-HD-remastered games share a similar problem: they’re all standard definition, 4:3 aspect ratio. There are some odd exceptions: Grabbed by the Ghoulies plays widescreen but has standard cut-scenes, while Jet Force Gemini has the opposite problem. There’s also the issue of the screen borders; every game has a specialized border you can turn on and off, and the actual game screen is larger if you keep the border off. While it had no effect on my enjoyment of these games, it would be nice if at least all the 3D games would fill the screen. 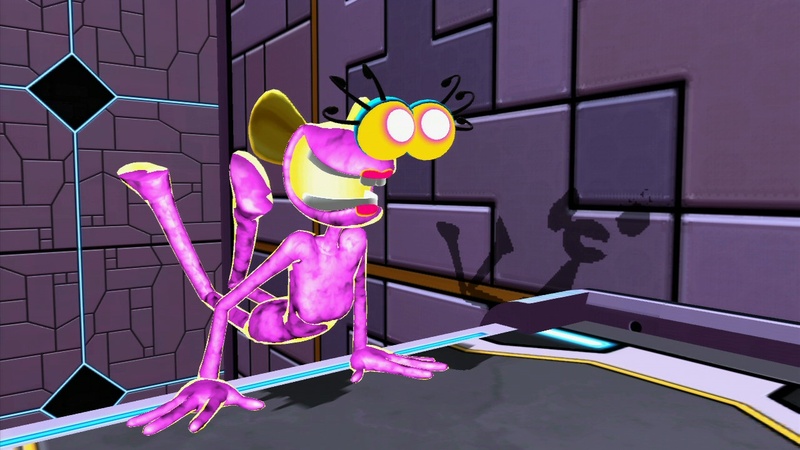 Rare Replay is an amazing package backed by an impressive history. The transition from past to present was perfect, but almost too perfect: since the games are exactly as they were when they first released, there are a lot of things that didn’t age too gracefully. For Rare aficionados this collection will bring back loads of great memories, but it will no doubt reignite those desires for long-awaited sequels we’ll likely never get. 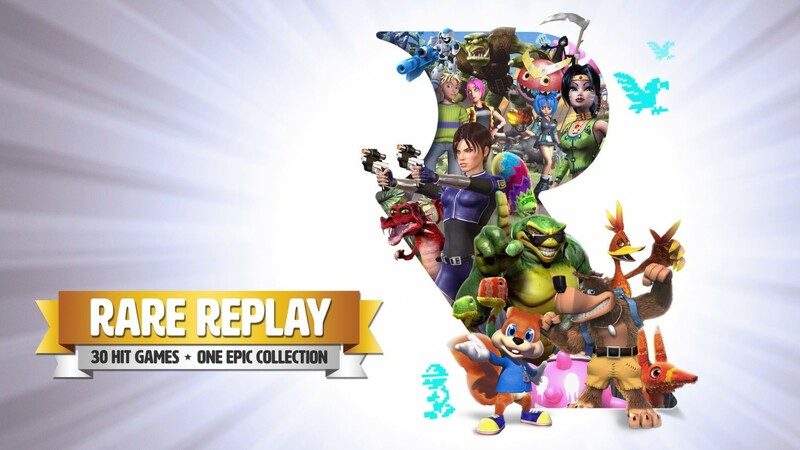 Whether these games are old memories or new to you, Rare Replay contains more than enough fun, originality and cleverness, which we can only hope will continue throughout all of Rare’s future projects. Achievement Notes: Rare Replay has a ton of achievements, with a grand total of 10,000 Gamerscore. Achievements from the Xbox 360 games carry over, meaning some players will already have a head start. For all the other games, Achievements mostly follow the traditional route: finish the game, grind enemy kills and so on. Starting any game in the collection for the first time will get you an Achievement, so make sure you sample everything. Rare Replay was developed by Rare and published by Microsoft Games Studios, It was released August 4, 2015 for $29.99. A copy was provided by Microsoft for review purposes.